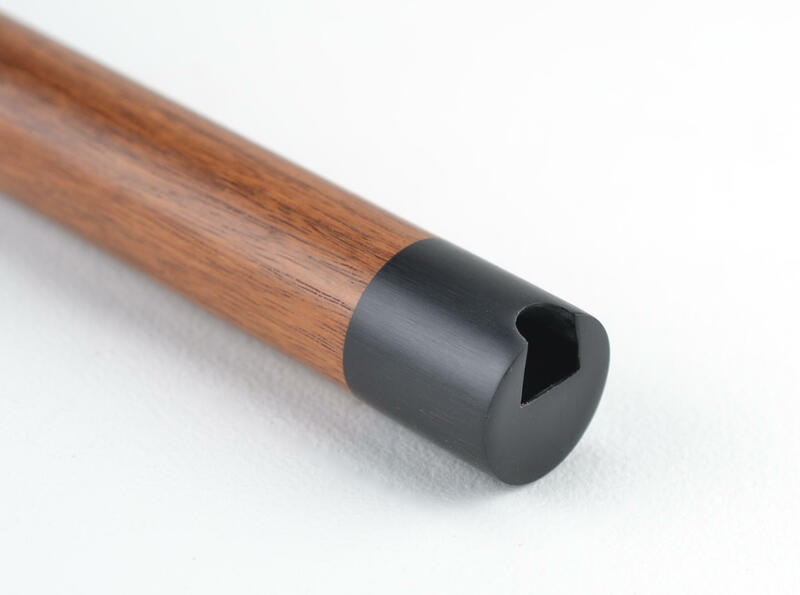 The Xiao (pronounced “show” as in “shower”) is an ancient Chinese vertical end blown flute, traditionally made from bamboo, and it is possibly the most versatile open-hole flute in existence. 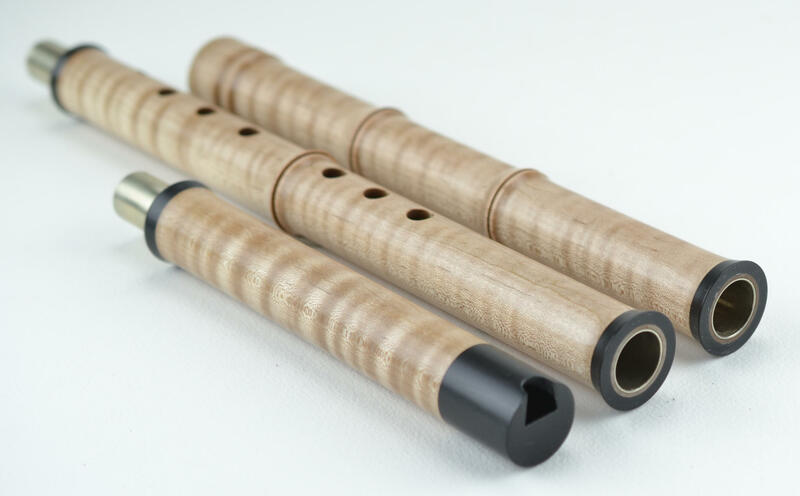 It allows for a dizzying variety of different scales and modes, making it the ultimate “desert island flute”. 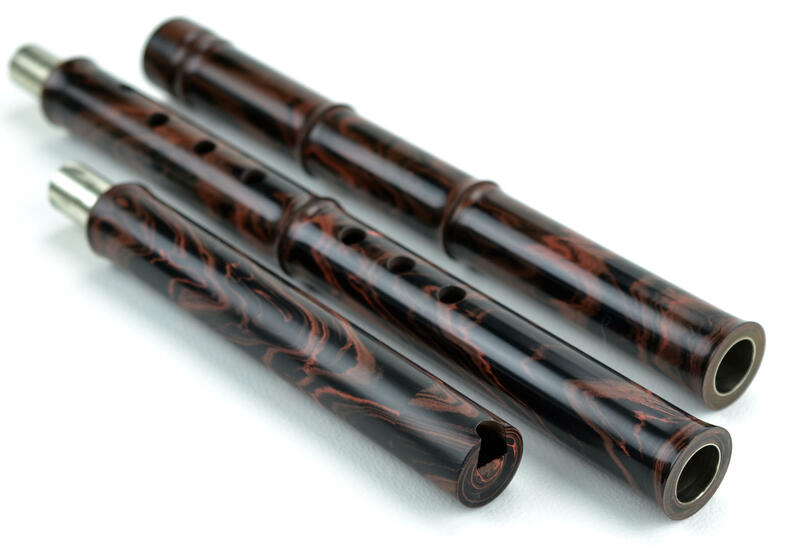 It is the grandfather of what later became the shakuhachi flute after it migrated to Japan in the 14th century. There are many varieties of xiao, with different design characteristics. 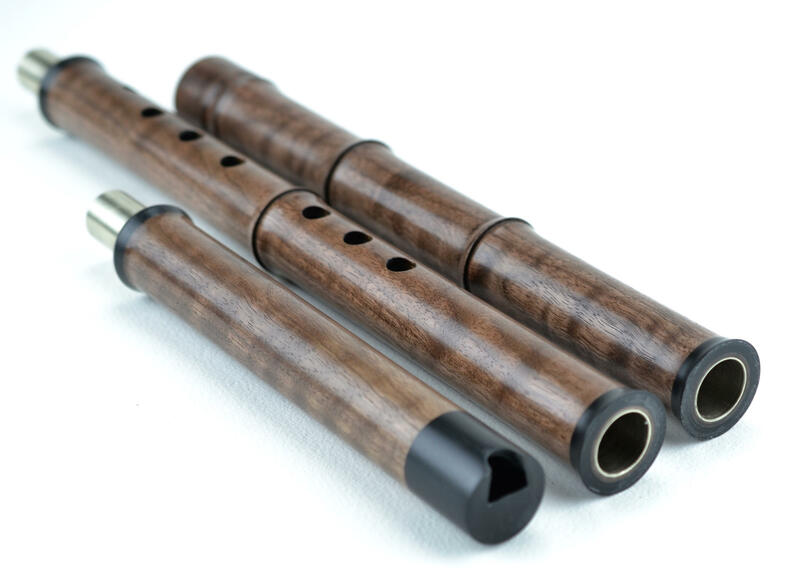 I currently make an eight hole instrument with a capped mouthpiece (the Chinese nomenclature around the xiao is not always clear, but I have heard these referred to as a “bei xiao”). This version is sealed at the mouthpiece end and has a small aperture cut into it through which the player blows. The cap is made from a polymer called Delrin, which has wonderful machining quality and makes a secure and tough mouthpiece. I make xiao that are either one piece (not jointed) or a jointed (three-piece) version that breaks down for easy transport and storage, and which has an integrated tuning slide. I make both types from a wide variety of woods and they are most commonly in the keys of C and D (middle C and the D above it). Just to make things confusing, there is a difference in how we describe the key of a flute here in the West, versus how the Chinese indicate it. If you buy a xiao from China, it will be marked with either an F or G. What that means is that when all of the holes are closed, the lowest note it plays will actually be C or D, because F and G are the tonic notes of those respective keys. So when I designate the key, you will see the Western key followed by the Chinese designation (the tonic) in parentheses. Example: Key of C(F), or D(G). I make bei xiao in a range of tunings from B(E) up to E(A). The length of the bei xiao ranges from around 28” for the smallest xiao up to 33” and it has at least a two octave range. Skillfully handled it will play up into the third octave. The Xiao (like the rim blown flutes) is an end blown embouchure flute. If a player has experience on any of these flutes they will find the Xiao to be accessible. Just like switching between any two embouchure flutes that are of a different make, adjustments will have to be made, but the skills required for any one of these flutes will translate to any of the others given some patience. Rich and lustrous Curly Black Walnut, key of D (tonic G). 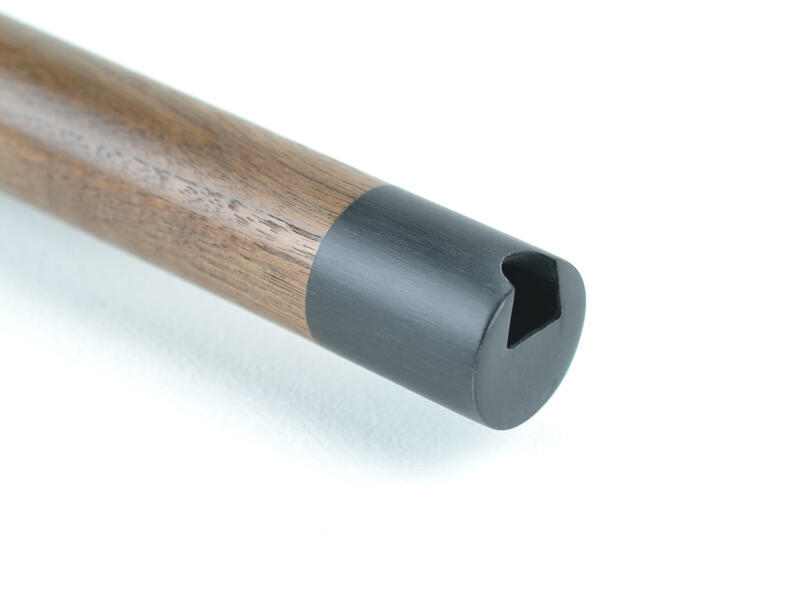 *For all wooden flutes, I recommend one of my Flute Care Kits. They are only available as an add-on purchase at the time of checkout (after you have pressed the “Add to cart” button you will see the option for the care kit right along side and you have to select it from the menu). 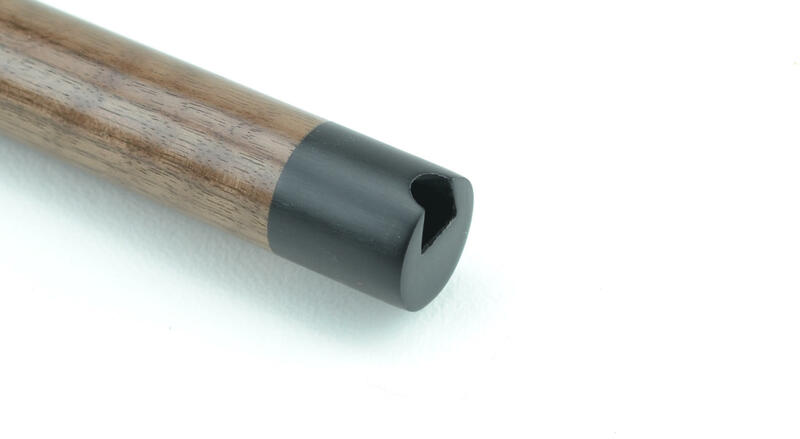 The care kit includes the recommended wax, fine steel wool and instructions for maintaining the finish on your flute. Not for use on ebonite flutes. * Listen to Scott August demonstrating the xiao in D below. A feast for the eyes and ears! Gorgeous Briar ebonite xiao in the key of C (tonic F), featuring nickel silver tuning slide and tenons. Making ebonite is as much art as science, and colored ebonite is very expensive (but worth it!). The cost for materials alone for a flute of this size is $150, so the price of the flute reflects this. A feast for the eyes and ears! Gorgeous Green ebonite xiao in the key of D (tonic G), featuring nickel silver tuning slide and tenons. A feast for the eyes and ears! 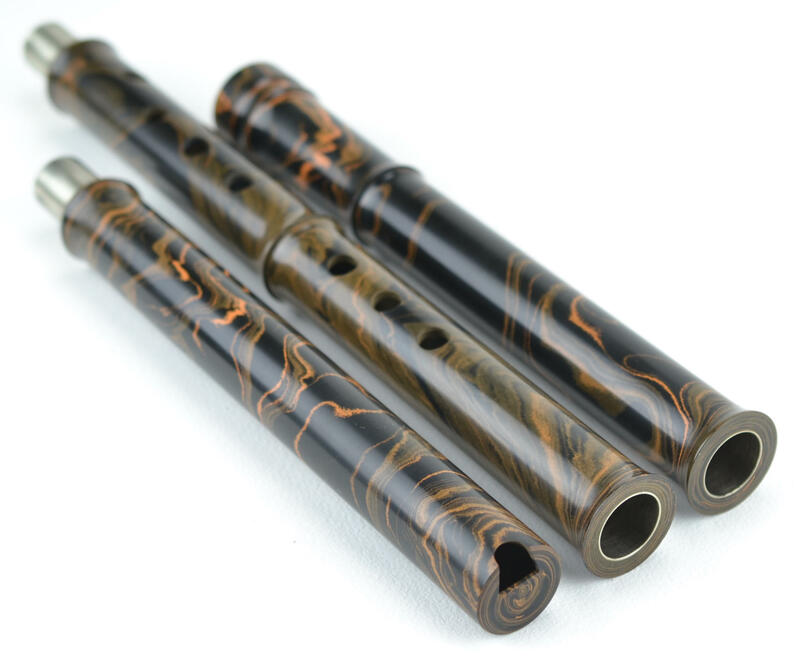 Gorgeous Cumberland ebonite xiao in the key of D (tonic G), featuring nickel silver tuning slide and tenons. Granadillo, key of D (tonic G). Listen to Scott August demonstrating the xiao in D below. Black Walnut compact xiao, Key of C (tonic F). The new compact travel xiao is a one-piece, shortened version of the classic xiao. I simplified this design to make this a more practical option for players who want to experience the xiao and who like the ability to conveniently travel with their flutes. The shortened version was achieved by eliminating the extra length and the tone hole matrix that is a feature of the classic bei xiao. The tone hole matrix on the full length xiao adds stability to the root note and enhances higher harmonics. To compensate for their absence, the bore is back-reamed at the foot to enhance the stability of the root. 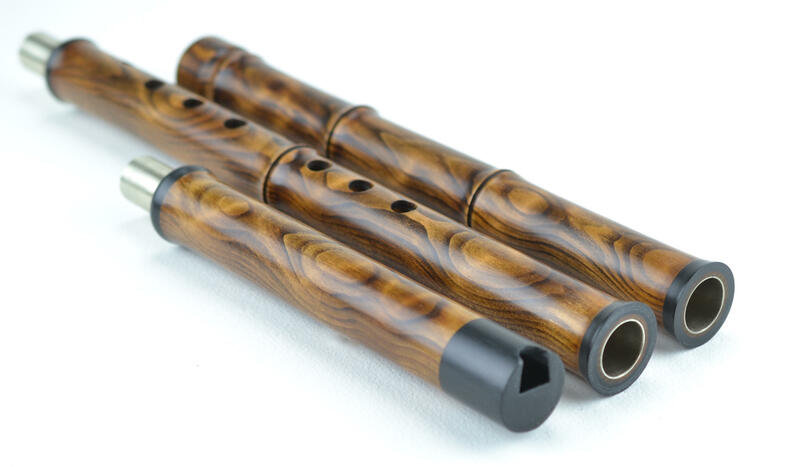 *For all wooden flutes, I recommend one of my Flute Care Kits. They are only available as an add-on purchase at the time of checkout (after you have pressed the “Add to cart” button you will see the option for the care kit right along side and you have to select it from the menu). 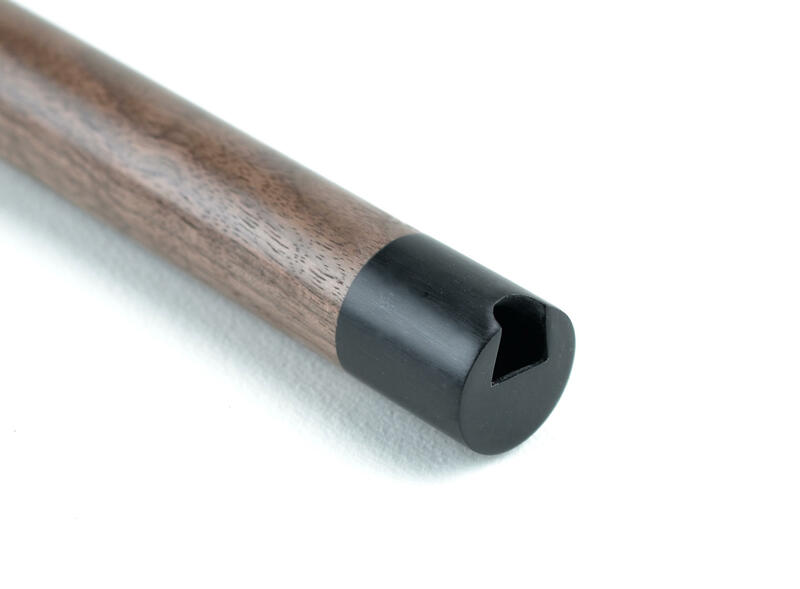 The care kit includes the recommended wax, fine steel wool and instructions for maintaining the finish on your flute. Not for use on ebonite flutes * Listen below to Scott August demonstrating a xiao in D.